It’s inevitable. You will need to call a service provider at some point when living in your house. 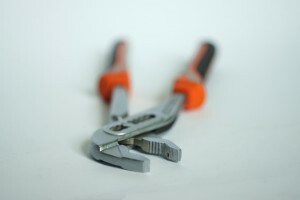 With thousands of plumbers, electricians, and handymen out there, how do you know which ones to trust and which ones actually do a great job for the price they charge? Our team has had to interact with several of these providers throughout our real estate career, so we’ve compiled a growing list of those we deem worthy of recommending to our fabulous clients. Services: Licensed, family-owned plumbing company in San Antonio. They provide new installations, remodels, bathroom upgrades, hot water/tankless heaters, water softeners, maintenance programs, and more. Services: Provides both residential and commercial services. They offer repairs on damaged or old electrical wiring, rewiring, service and panel upgrades, troubleshooting issues, etc. Promotions: 10% OFF for active military members, as well as seniors, on any job up to a limit of $200. Services: They use only 100% residue free & Earth-friendly agents to remove stains like pet, food, and drink stains from carpet, upholstery, area rugs, and more. Promotions: $20 off carpet service per room after first room, $20 off upholstery service per piece after first piece, and $20 off area rug service per rug after first rug.